We can add colour to any event! 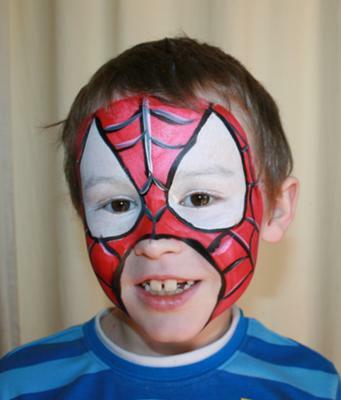 Clarence Valley professional face painting, glitter tattoos, balloon twisting and balloon decorating too! A dream for birthday parties, festivals, fetes, corporate as well as retail events. We offer a wide scope of fun and quirky designs that kids really love. 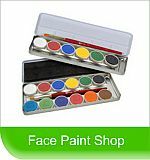 Vibrant colours of professional quality face- and body-paints, glitters and brushes, and also stencils and cosmetic glitters! My creations include jester's hats, flowers, and many different kinds of balloon animals, such as butterflies, dogs, ponies, snails, and snakes. 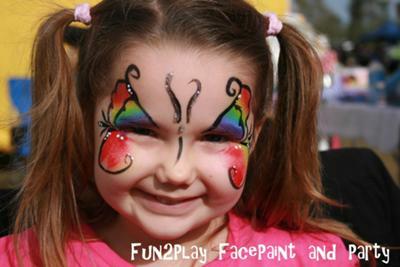 We proudly use TAG, an renowned Australian face- and body-paint company. TAG is a cosmetic face and body paint that has been FDA approved for safe application to skin. Great to have local talent here in Yamba and Maclean. Everyone loved Kate's work. The kids were thrilled. 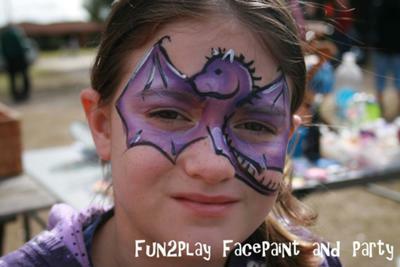 Would definitely recommend Fun2Play for anyone looking for a professional face painter. The glitter tattoos and balloons were a big hit too of course.